Earth, Near Future - a virus has laid waste to the world, mutating all adult humans into flesh-eating zombies. The infection lies dormant in all surviving children, bringing about "the change" near the age of 18. 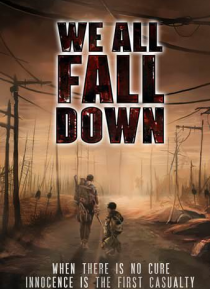 Life is vicious and short.Todd, a haunted young man on the brink of "the change", struggles to protect the innocence of Benny, his mute younger brother, as they hunt for a sanctuary in a … brutal, post-apocalyptic wasteland.